It was a last-minute substitution for a long and carefully planned event. Disappointment over the cancellation quickly faded into gratitude for the experience we all had together at our last Recovery Supports (RS) Division Retreat. 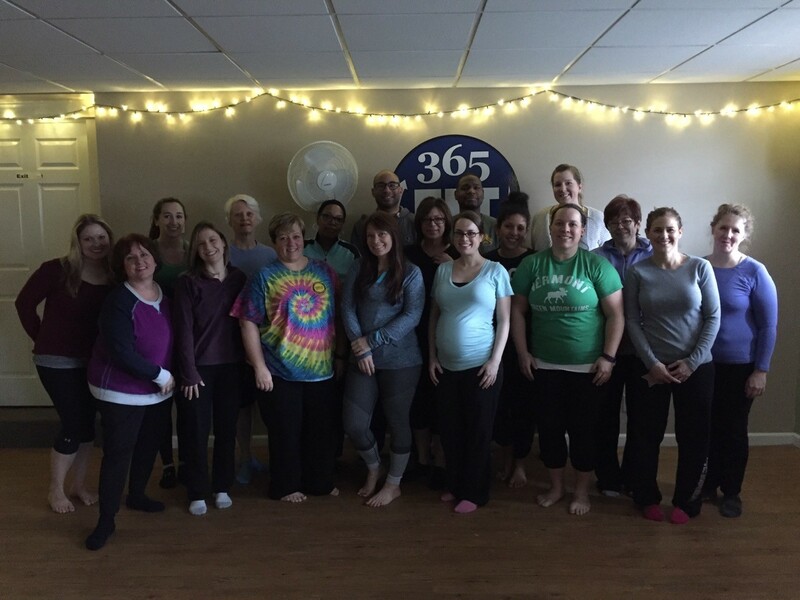 On February 17, 2016, 18 of us participated in a 1-hour yoga class at 365 FIT next door to our offices in Delmar. The diverse projects and staff of the RS Division would come together at least once a year to bond over a fun activity and food while sharing about our work and our lives. This cool morning in February, we all faced the limits of our comfort zones head-on and stretched ourselves both literally and figuratively. Our yogi, Janine, led us through asanas (i.e., poses) for beginners. She took special care with one participant who was pregnant with twins and with others who were standing for the first time on a yoga mat. She encouraged us to “honor our bodies” and respect our differences in abilities—between each other and within ourselves. She reminded us, “there is no prize.” The value lies in the experience. Stretching ourselves further or resting longer are both inherently valuable. It is our gift to ourselves to focus on what our body and mind needs in that moment. For me personally, yoga is a very important part of my physical and emotional wellness. It is a time for me to focus on an activity that challenges my body, but also lets me focus completely on myself with no other distractions. It is an opportunity to celebrate what I am able to do, challenge myself to move farther than I have before, but celebrate just being there even if I can’t meet the goal. It was our last division retreat before our reorganization in the spring, but it was the beginning of a new path to wellness for many and the opportunity for others to share an activity that brings both peace and strength.